The two most common errors while installing Google drive :The installer encountered error 1603: Fatal error during installation And Module: C:\Program Files\Google\Drive\googledrivesync32.dll failed to register. Even i encountered this error initially and after doing some research i found a 100% working solution. 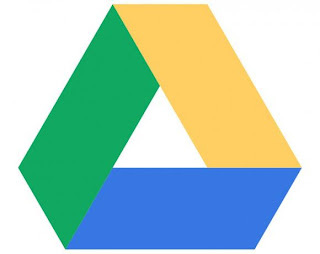 Google Drive is a file storage and synchronize service by Google that was live on 24 th April 2012. Google Drive is currently the house of Google Docs, a set of productivity apps, that provide cooperative redaction on documents, spreadsheets, displays, and more. Do Let me know if you get any error while installing Google Drive by leaving you comment below.I would try to reply asap. Thanks Anish, you’ve helped me fix this problem on my Atom (x86) powered Samsung NC10. Thanks Mr Anonymous. Even i had the same issue and when i found the solution,I wanted to help others too. I tried to install on Windows XP SP3 and that seemed to work ok. When I ran it, it showed an impressive gear wheel going round and round and round. I dismissed it after about 20 minutes. No error message. I tried reinstalling … but another 30 minutes wasted. Using the off-line installer and adding the Microsoft Visual C++ 2008 Redistributable Package (x86) worked for me on a XP box. I’m wondering why Google didn’t have this on there own support pages (or at least I didn’t see it). Good job Anish or to whom ever found this! Thank you!!! Simplest explanation of how to remedy the issue and successful on the first attempt, even with the online installer. Thanks for providing this resource on the internet.